FRONTLINESpot On kills fleas and ticks and controls biting lice on both cats and dogs. How FRONTLINE Spot On works. From where you apply the product, FRONTLINE Spot On spreads all over the pet's body. It concentrates into the sebaceous glands of the skin and is constantly replenished over the pet's skin and coat. This 'store' gives the product its prolonged efficacy – even after bathing, swimming and grooming. FRONTLINE Spot On kills fleas and ticks by affecting their nervous system. It causes hyperexcitation in these parasites. Disoriented, dying fleas rise to the surface of the pet's coat – which is why you might actually notice more fleas after applying the product. Treating your pet is easy with FRONTLINE Spot On. ​Applying FRONTLINE Spot On causes fleas to become hyperexcited, so it's not unusual for them to become more visible before dying. *In cases of severe flea infestations or animals diagnosed with Flea Allergy Dermatitis apply monthly. For further details please refer to the leaflet within the packaging. FRONTLINE Spot On and preventing fleas. It's normal to see a few new fleas on your pet even if they have been treated with FRONTLINE Spot On. FRONTLINE Spot On does not repel fleas so if the pet visits an infested environment, a few new adult fleas may jump onto them. These new fleas will be killed within 24 hours. If you see fleas on your cat or dog after treating them, you might think the flea treatment isn't working. However, modern flea treatments that contain fipronil, such as FRONTLINE® products, are effective at killing fleas within 24 hours of them jumping on pets. The reason why you're still seeing fleas is because new fleas can jump on your pet at any time from an infested environment. Each new flea takes up to 24 hours to kill. The majority of the flea population is found in the environment and is subject to a large variation in conditions: different hosts, pets treated with different products or none at all. This means that repeated exposure to a single active ingredient (which is necessary to develop resistance) is low. The active ingredient, fipronil, acts on three parts of the flea nervous system so it would take three mutations of flea DNA for the product to become ineffective. This would be an extremely rare situation. Scientific studies prove that the fipronil in FRONTLINE products remains effective. These include manufacturer studies ( Beugnet F. & Franc M. ), competitor studies ( Jernej Küzner. Michael W. Dryden ) and studies by independent researchers and veterinary parasitologists. Why am I seeing fleas on my treated pet, and what can I do about it? No product stops newly hatched adult fleas from jumping onto a treated pet. Most products kill an adult flea between 12 and 24 hours of it landing on a treated pet. 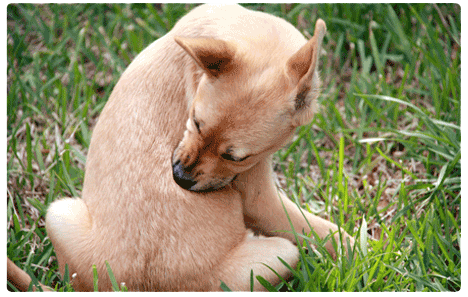 You will see fleas during this period whenever your pet has been in an infested environment. The key to flea control products is that they kill fleas before they can lay eggs that would be shed from your pet's fur into your home. This prevents a home infestation from developing, providing all pets in your home are treated throughout the year at the intervals specified on product packaging. Any gaps in treatment mean that the product will start to wear off and, at some point, newly arriving fleas will survive long enough to lay eggs that will infest your home. 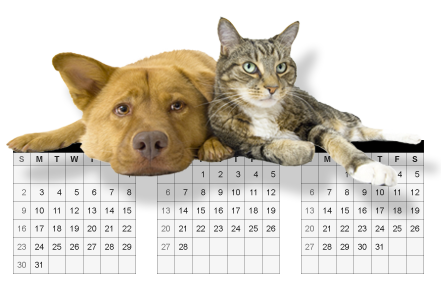 After a home infestation has developed, it will take monthly treatment of all pets in the home for at least 3 months to break the life cycle due to the amount of flea life stages in the pet's environment. 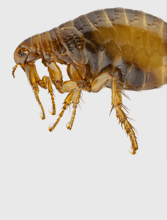 While new fleas hatch out of pupae around the home, you will continue to see fleas on your pet. The treatment will kill these fleas within 24 hours, before they themselves can lay new eggs. Pets cannot become immune to FRONTLINE products because they don't act through the pet's bloodstream. 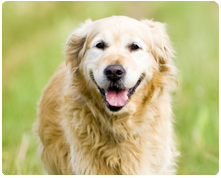 FRONTLINE products kill fleas on direct contact with the skin and fur.